Askrigg is a small village in the heart of Wensleydale in the Yorkshire Dales just off the A684 north of Bainbridge and Worton. Most of the buildings are made of stone - solid and enduring. 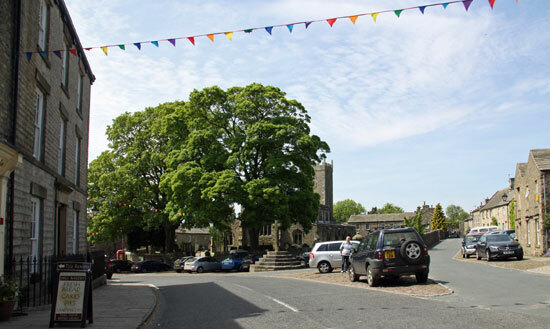 Askrigg has a small cobbled market square with a market cross and bull baiting ring, the 13th century parish church of St Oswald's, and tall 3 storey houses. 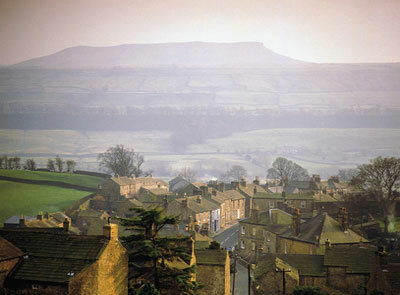 This was a typical dales industrial town, famous for clock making in the 18th century in addition to the usual wool production, knitting and associated wool trade. 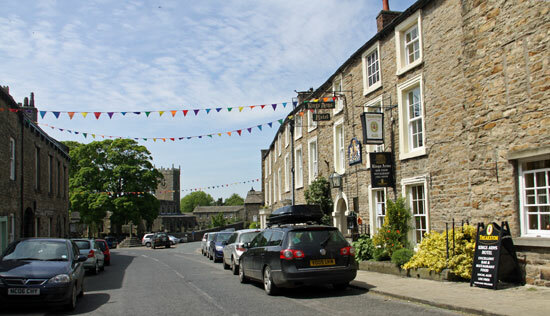 The bunting is hung out to greet tourists and encourage them to stay for a bit to eat or perhaps rent a holiday cottage in Askrigg for a few days. 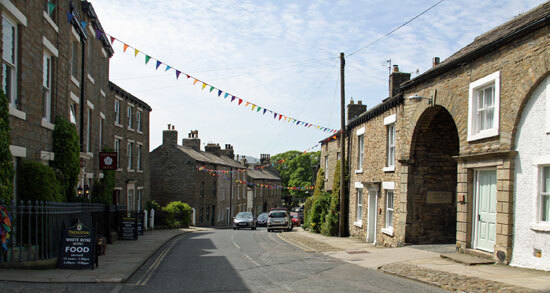 The village came to fame in the making of the television programme 'All creatures great and small' which portrayed the life of fictitious local vet, James Herriot. There are local pubs (Kings Arms Hotel, Crown Inn), tea room plus gift shop, a sport and fitness centre which might be useful for visitors. Walkers and cyclists are always grateful for eateries that cross their path in Yorkshire. 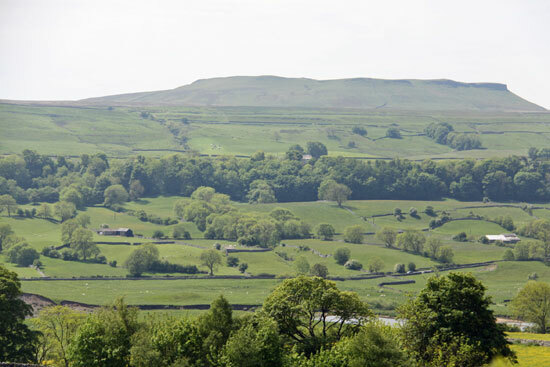 Lots of walks in the surrounding countryside close to Askrigg. 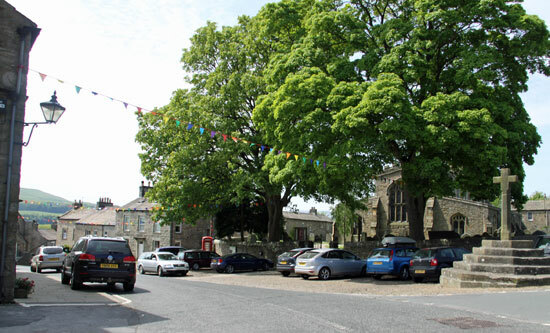 Other places to visit near Askrigg. Aysgarth Falls in a wooded gorge, best viewed after heavy rain in the winter.